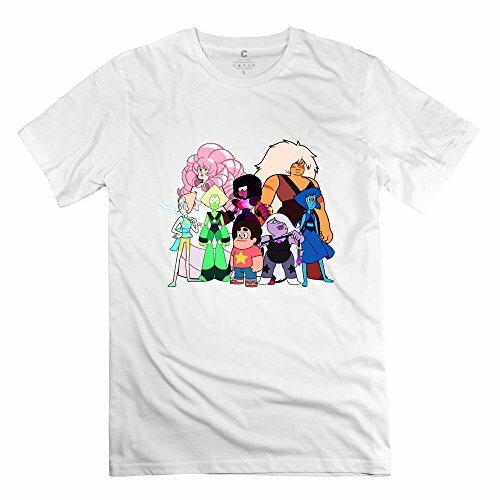 Steven Universe Custom Short Sleeve T Shirt Is Made Of 100% Cotton Shirts And Eco-inks To Guarantee High Quality. Unique Design To Show Your Unique Beauty-appreciation. 100% Soft Cotton,Feels Great! Steven Universe Style T Shirt. Color Options:White,Black,Red,Royal Blue,Sky Blue,Deep Heather,Forest Green,Yellow,Natural And Delivery Time:7-10 Business Days. Printed Graphic Logo On Front.